“Relationships, real or imagined, are at the center of my work. Being young and queer, I searched for a history that spoke to me—included me. 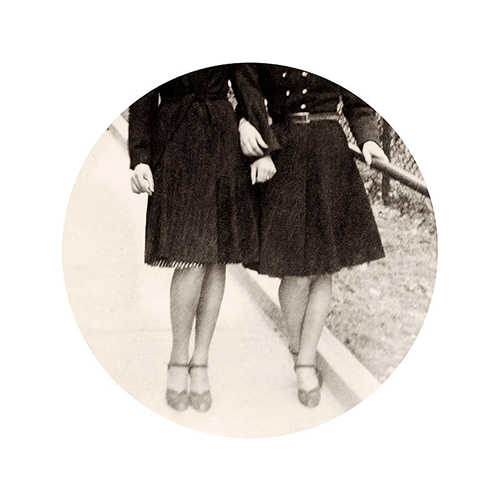 In my family history there were no couples that mirrored my own intimate relationships. That didn’t stop me from imagining such couples”. Out of a collection of her grandmother’s old family snapshots, Sanford began creating an imaginary queer past, pulling out those photos that pictured men together and women together. Often, she was drawn to the subtle points of contact and the spaces between the figures pictured. Each gesture or distracted glance held a story, and it is these stories that mirror the artist’s own desires and experiences. The work quickly grew beyond the family’s collection to include anonymous snapshots of strangers. Sanford describes her images as works of fiction. The individuals pictured serve as characters in a search to uncover lost stories of life, family, and love. 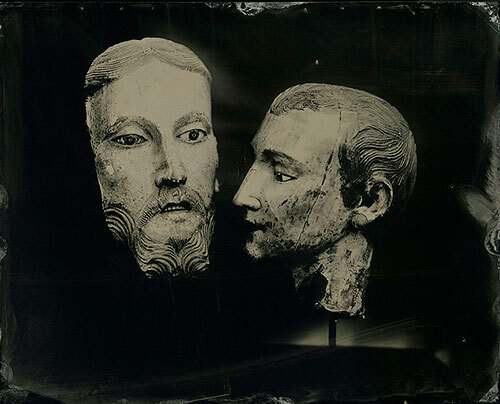 Brenton Hamilton’s work provides a contemporary view on mythology and history created with one of the first photographic processes. His new series of interconnected works comes in the form of cyanotype on paper and recently black glass ambrotype. The images comprising “As I Nod to my Influences I Want to Float” reference a constant, personal interior dialogue of Hamilton’s. Opening Reception: Thursday, February 5th, 7 – 9 pm.